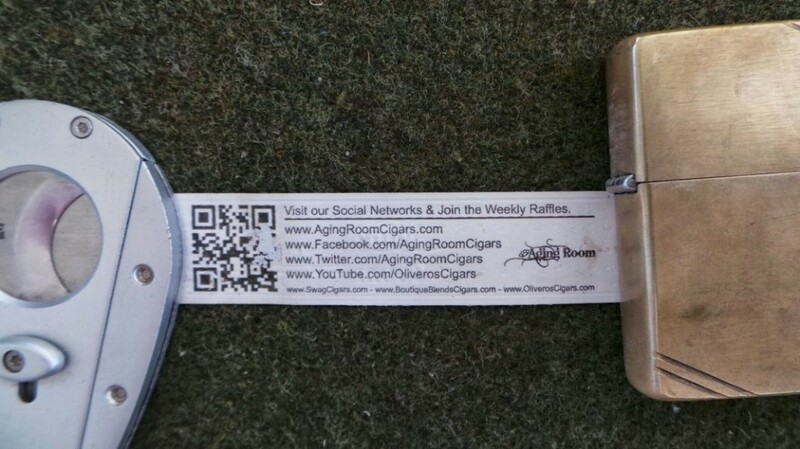 Back in June, I posted some news from parent company Boutique Blends Cigars about a few upcoming cigars they had in the works. 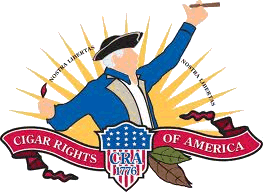 I later had the opportunity to sit in on their presentation at IPCPR – one of the most informational and organized at the show. Mr. Rafael Nodal, Carlos Nodal, and Joshi Blanco provided extensive information on all their upcoming blends and were very accommodating in answering questions. The samples under review today were provided subsequent to this presentation. Boutique Blends Cigars’ business umbrella covers a number of divisions – including Boutique Blends, Aging Room, SWAG, and Oliveros cigars. 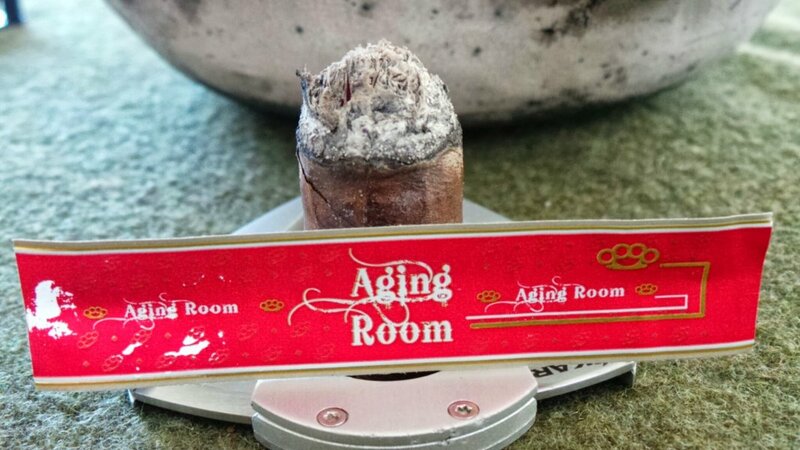 The new Aging Room maduro appealed to me because of its components – Dominican grown habano as the filler and binder, with an aged (5-6 years) Nicaraguan maduro wrapper. This combination sounds enticing….but, how does it hold up in practice? Let’s find out…..
clearly on the cold draw. At first light, the latter cigar provided a slight resistance to fire, but lit evenly. The first few puffs produce an enormous amount of smoke. I really got a hearty spice in the early minutes of both samples, which was felt most on the soft palate. Although heavy in dosage, the spice is actually very pleasant. It’s not shrill, as can sometimes be the case with some more spicy blends. There is a “caramel-esque” undertone to the flavor that really complements the spice and wrangles it into submission. 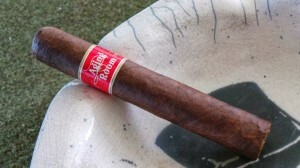 Normally, I smoke two or more of a given cigar in the process of doing a review – the first with no accompaniment, and the second with something I think will accentuate the cigar. In this case, I chose coffee for the second example. While I love coffee, and today’s cigar is quite enjoyable in its own right, I don’t think it paired particularly well with my coffee. In fact, I abandoned the coffee within the first 20 minutes of smoking. The coffee was not drawing anything new from the cigar, and the cigar was deadening the flavor of the coffee. That says nothing about either, it merely means the pairing was not working for me. The end of the first segment of the Aging Room Maduro shows a good bit of ebbing in the spice, and some mildly woodsy flavors beginning to make way toward the foreground. As I make the transition into the middle portion of the cigar, the spice has not faded entirely, but is quite subdued when compared to the early minutes. It seems to have reached a plateau for the time being. The woodsy flavors that began to peek through late in the first portion are much brighter in the midsection, with a noticeable cedar bent. The construction has been flawless on both samples I’ve smoked, as the burnline is witness to. The ash hung on to nearly an inch and a half before falling. Going into the final stretch, the flavors didn’t change drastically from the middle portion. The spice did continue to drop into the background, with perhaps a bit more sweet cedar playing the dominant role. The finish was long and leaned more into the caramel family noted early in the cigar. 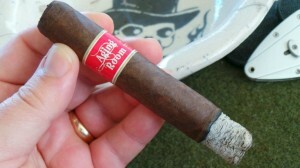 I enjoyed the Aging Room Maduro quite a bit, and definitely have a place for it in my humidor. The Dominican binder and filler marry beautifully with the aged Nicaraguan wrapper to lend just the right mix of spice and sweetness to keep one entertained throughout the cigar. This might be my favorite of the Aging Room offerings to this point. Well worth investigation for any palate. Highly recommended.